Katrina Wallace is missing. As the mayor's daughter, her kidnapping triggers mounting political pressure and forces the Dallas Chief of Police to exercise the nuclear option. His best bet are two senior detectives in the Criminal Intelligence Unit. Rob Soliz and Frank Pierce have done the impossible in the past, but their methods have often proven embarrassing. The only evidence is a Bible found in the girl's car. Friends and family deny it's hers, asserting "Katrina has no religious belief—none." Because she has an uncanny resemblance to his deceased wife, Frank won't let it go. He's not satisfied with the explanations. He scours the mysterious Bible, looking for any clue, and in Revelation finds the word Wormwood highlighted. A DPD computer search turns up only one hit: a transient arrested years earlier had a full back tattoo of a large descending red moon with the word inked in bold letters at the bottom. 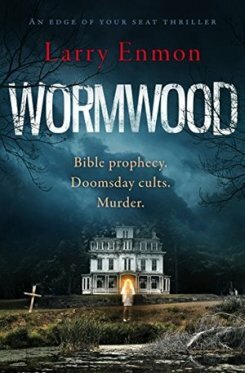 This sends Frank and Rob on a disturbing investigation involving Bible prophecy, doomsday cults, and murder. They discover other girls have been kidnapped, all young blond women, in the eastern Texas and western Louisiana area. Each time, a Bible with the word Wormwood highlighted is left at the scene. They find other suspects with the bizarre tattoo, the scariest in a prison for the criminally insane. Now convinced that Katrina is still alive and in mortal danger, Rob and Frank must take drastic action. As the trail leads them into the woods of rural East Texas, Frank must deal with his lingering religious doubts and desire to possibly be reunited with a lost love. Frank and Rob discover the chief suspect, Brother John, holed up in an old antebellum mansion. They find Katrina, as well as another girl, and locate five graves in a nearby cave. Their rescue is interrupted by John and his brother, Luther, who trap them in the cave. In the ensuing firefight, Rob and Frank defend the girls and manage to kill John and Luther – but not before Frank is shot. Due to massive blood loss and delayed medical treatment, the doctors give him only a ten percent chance of survival. Rob sits at his bedside, recalling their brother-like partnership and praying for a miracle. Just as he gives up all hope, Frank pulls through, sense of humor intact. "Larry Enmon is a master story-teller. The Burial Place is a page-turner, great characters and a story that never quits. Do yourself a favor—read this book now"
"The Burial Place crackles with narrative energy that keeps the pages turning. 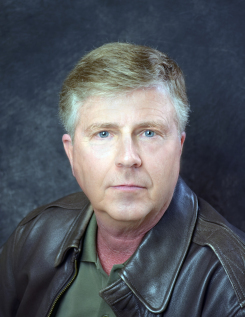 Larry Enmon has made superb use of his first-hand knowledge of police work, crafting an engaging story that is impossible to put down." "Larry Enmon is a fine compelling writer with great eye for detail." "The Burial Place is a taut, pulse-pounding thriller, drawing the reader relentlessly from its heart-stopping opening to an unforgettably chilling finale." "Sharply drawn characters, perfectly paced plotting and a finely honed command of narrative tension; I truly enjoyed this novel."